Dogs are a man’s best friend and rightly so. Even when your partner refuses your demands of following a Disney theme for a Halloween party, your four-legged friend will happily accompany you, dressed as a prince or princess. 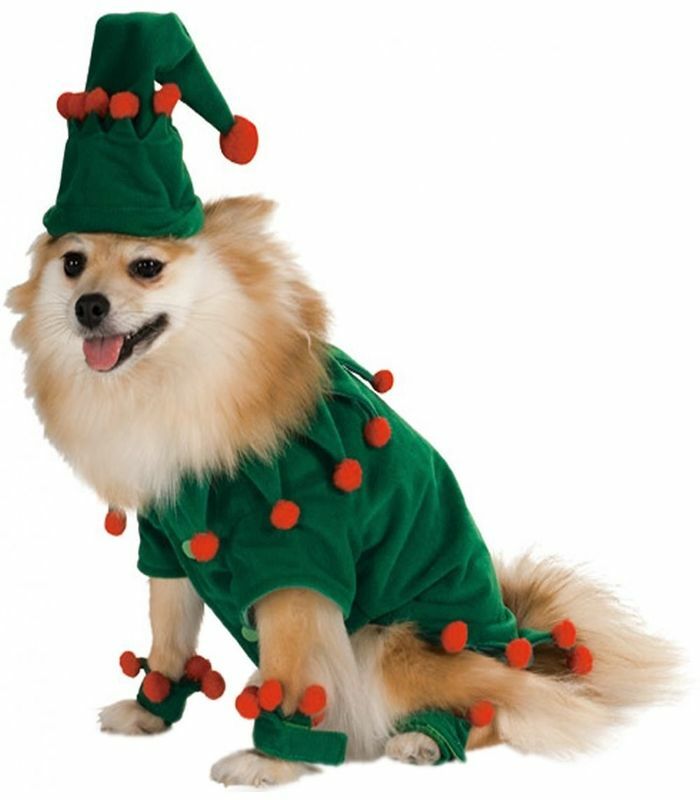 So get the canines in your house in the festive spirit by decking them up in Halloween special costumes. We’ve got a few examples below! 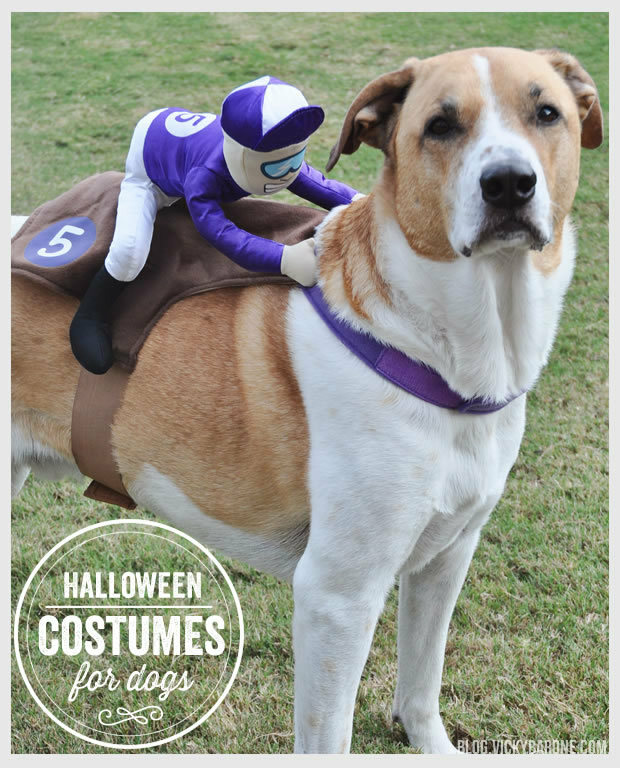 Since your dog is the sweetest being in your life, you have to ensure that his costume is equally sweet. 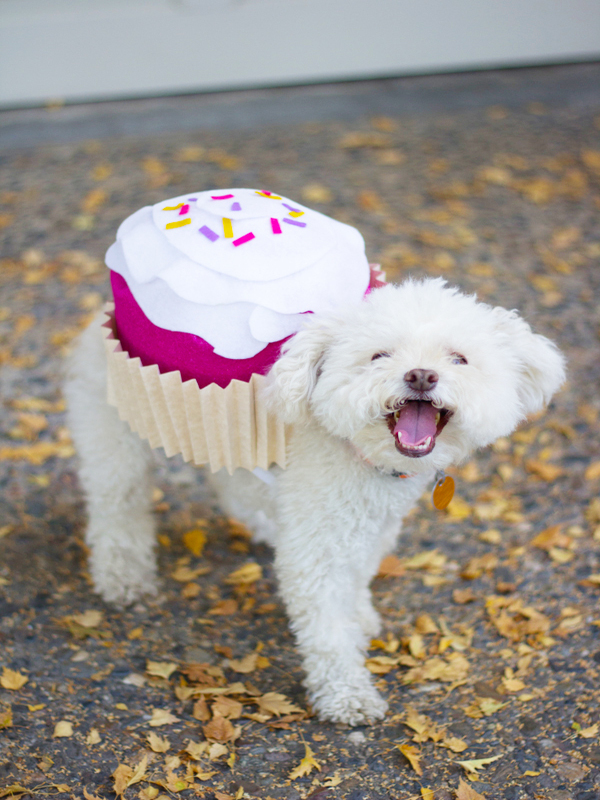 So deck him/her in this cute cupcake costume. Behold fellas! 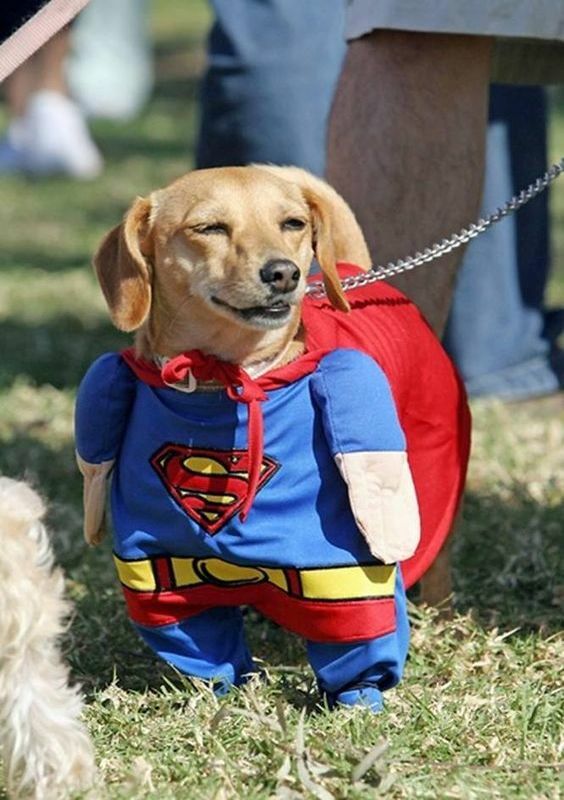 We have the SuperDog to your rescue. 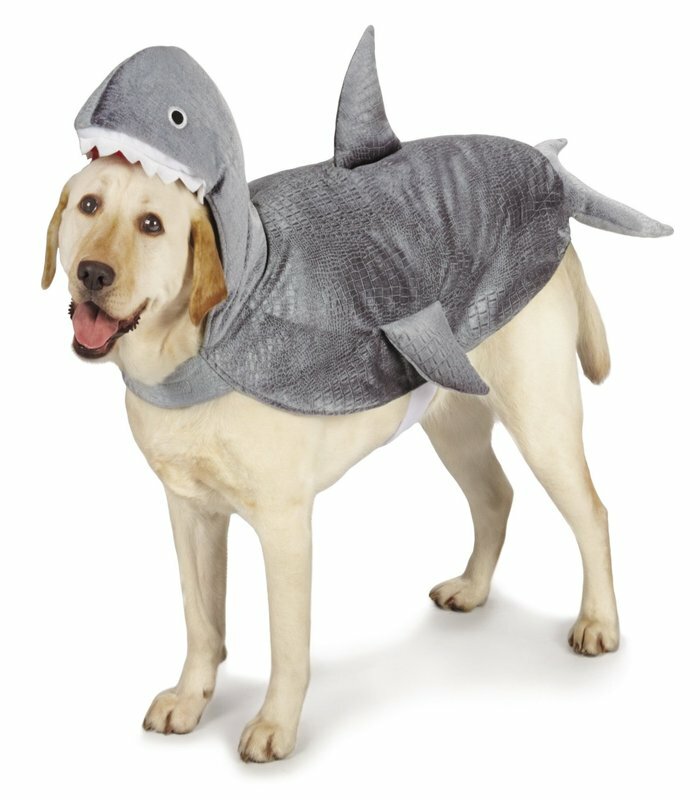 This is a super easy to make costume for your dog. You just need a blue jumper, red cape, and a mask. And you can buy online too! 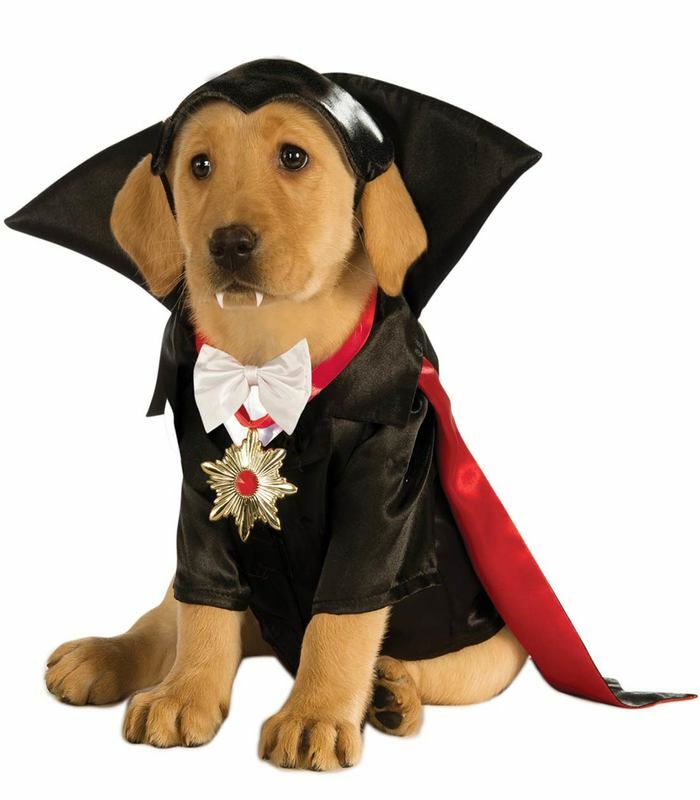 To transform your dog into the dangerous Count Dracula, just add some white fangs and a black cape. But watch out! The bite would hurt. 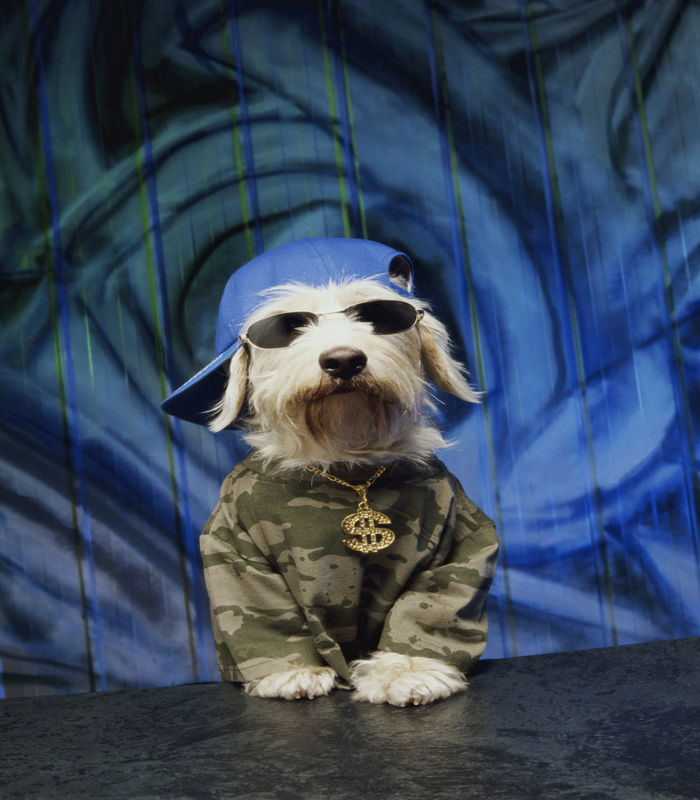 Deck your dog in a hip T-shirt, a cap, sunglasses, and a thick chain to recreate this hilarious costume. He’ll have his own swag in this costume. Want to make your dog fly like a fairy? Then add a tutu and some wings and see him fly. Do not forget the fairy dust. Find the complete tutorial below! 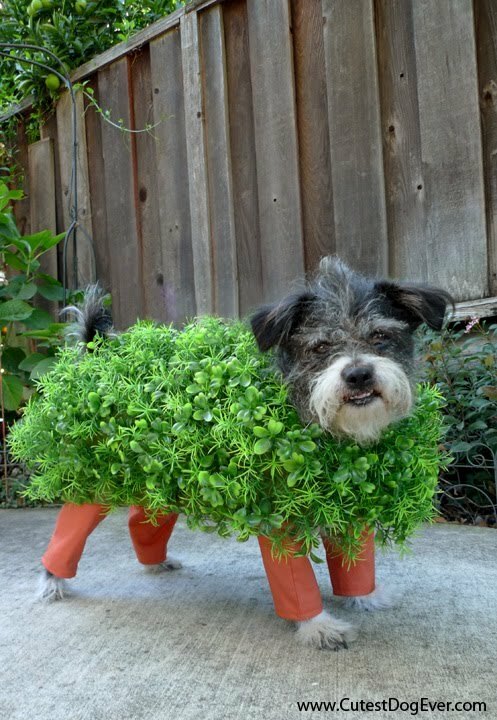 If you wish for a Chia pet, how about turning your dog into one. You just have to cover a felt with loads of plastic plants and dress your dog in it. Just make sure he doesn’t eat the plants. 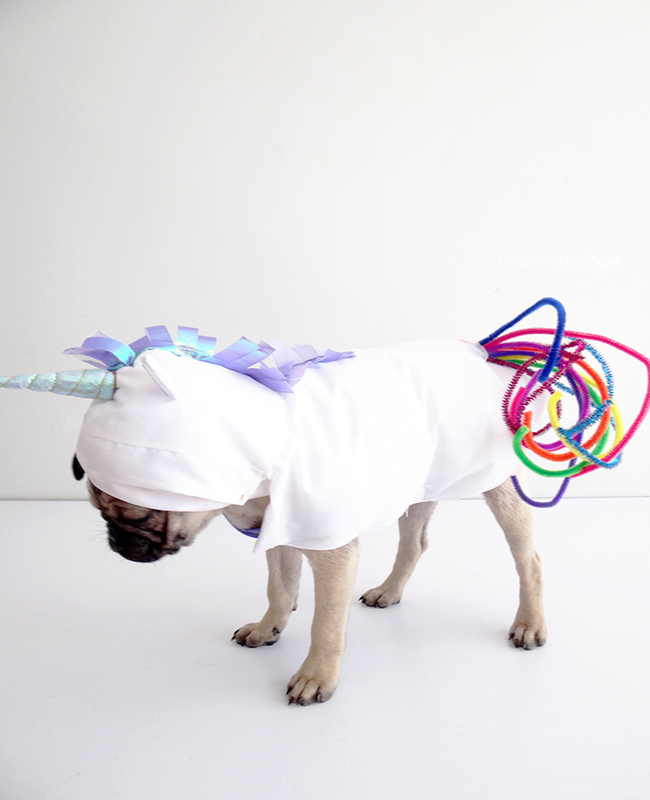 Your dog will be one of a kind this Halloween dressed up in the unicorn costume, complete with colorful tail and a glowing horn. It looks so cute that people might mistake it for real. Turning your dog into a horse is cool. But transforming him into a horse rider is even cooler. 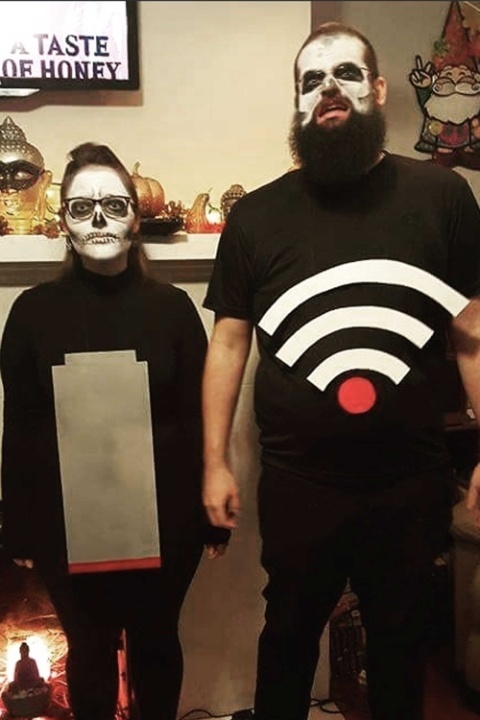 This hilarious costume will get everyone into splits. 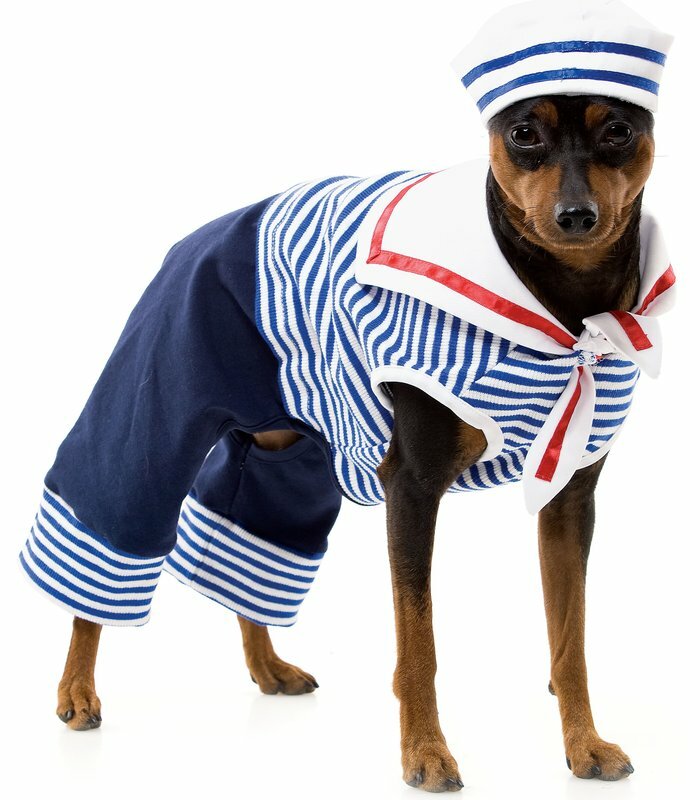 The ridiculously adorable sailor is all set to navigate the sea. Let’s see if he finds the bone treasures or not. 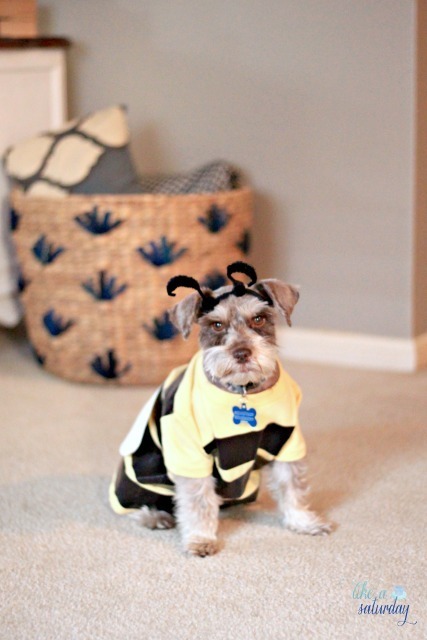 To turn your dog as cute as the one you see in the picture, dress him in a black and yellow tee and add the antennae and wings. Just ensure that he isn’t angry about it. Unique in the truest sense. 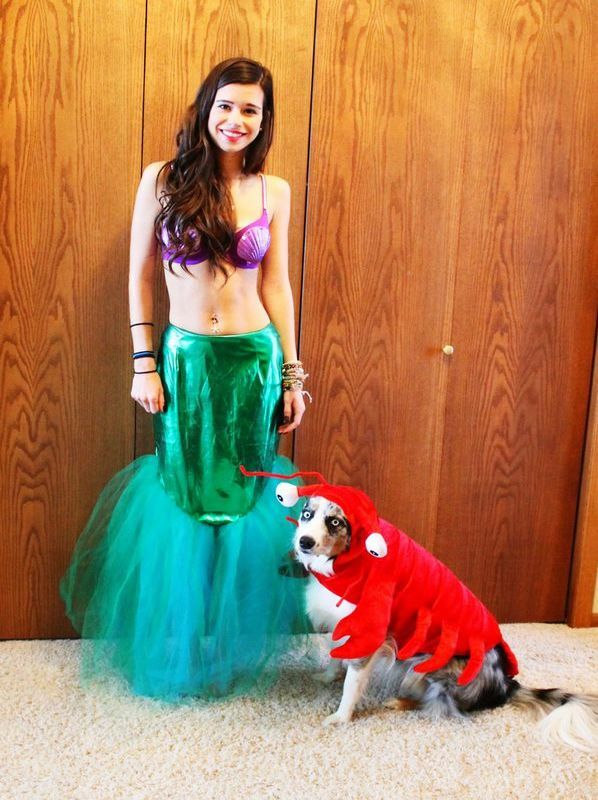 You can dress up as Ariel and the pet as Sebastian. The eyeballs are sure to pop out. 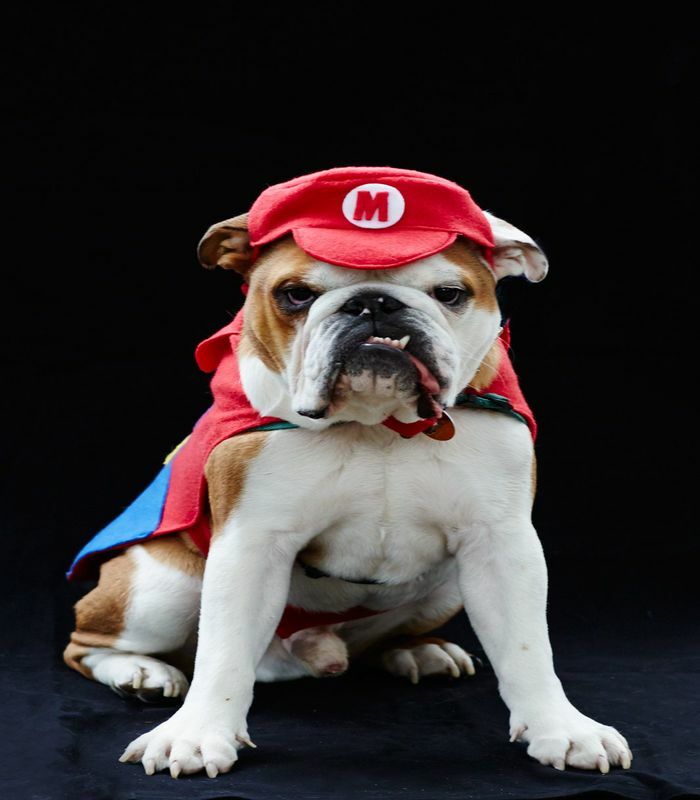 The bulldog here is all set to save his Princess Peach from the monster. Do you think he will succeed in his endeavors? 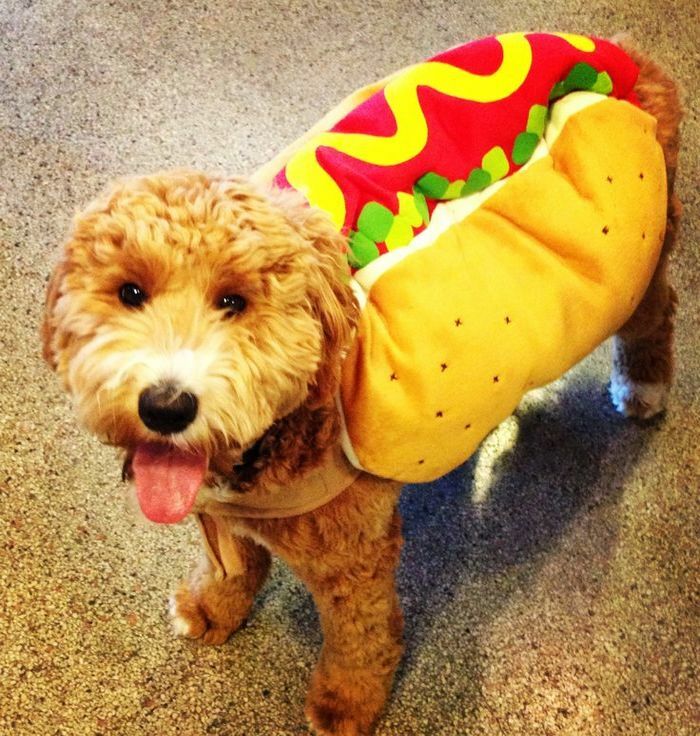 Don’t you think dogs look extremely cute when dressed up as a hot dog? Especially with their tongues wagging out. 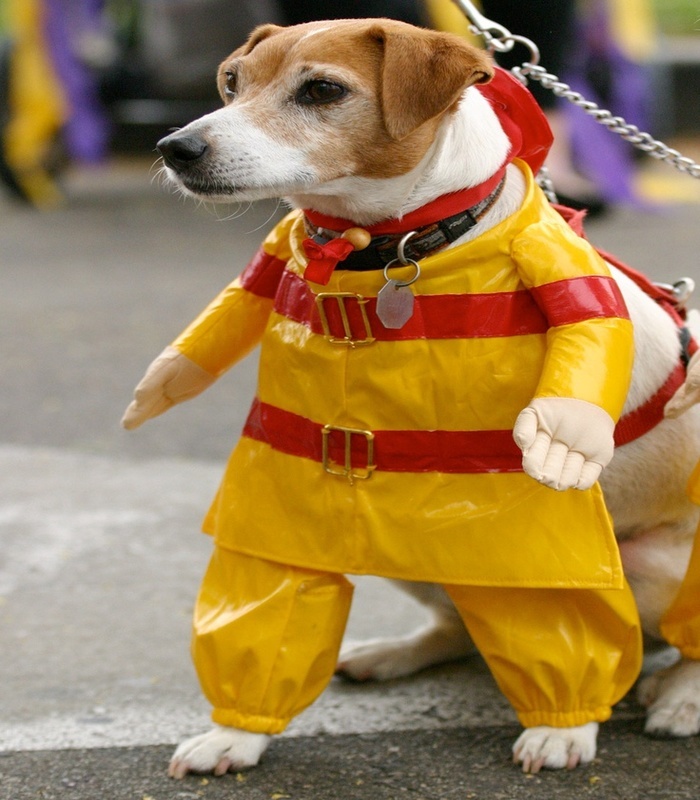 This sweet, little doggy walking in fireman costume and fake arms is a site to behold. Rescuer, if not of the fire, but of the heart. 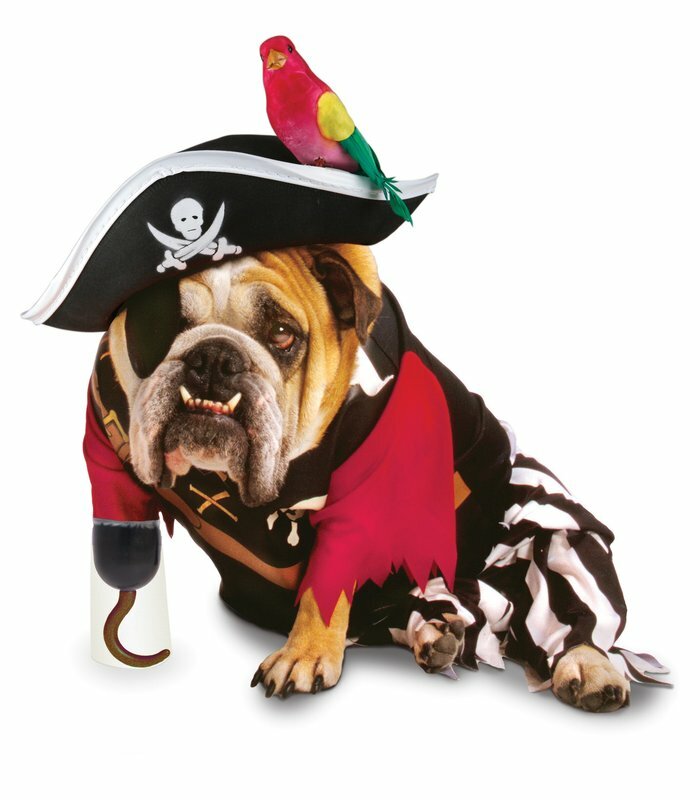 How cute does this pug look dressed like a pirate? And the hat looks super cute. 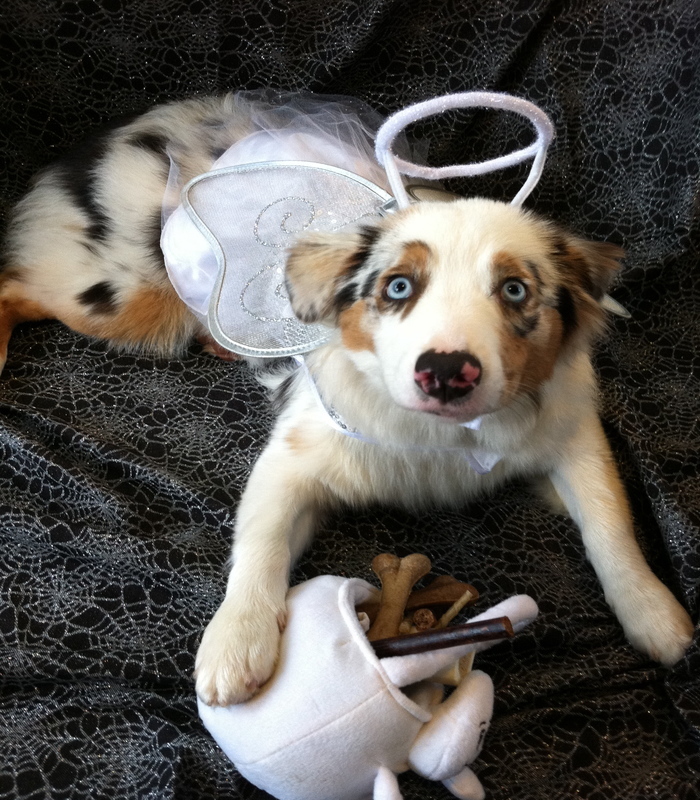 Pups are indeed angels in disguise. They distress you after a dull day at work. 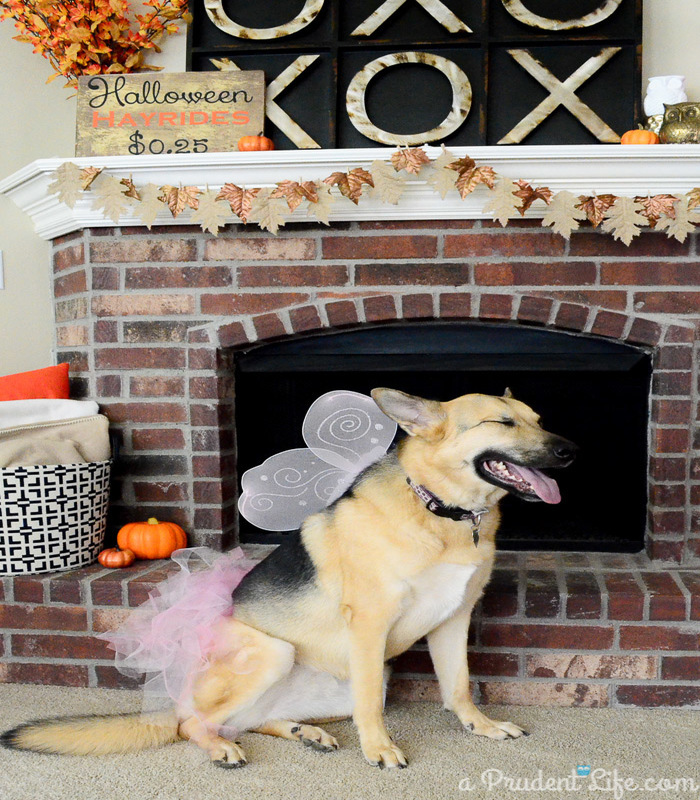 So dress your dog as an angel this year. Honestly, this is one of the most innovative ideas we’ve ever seen. 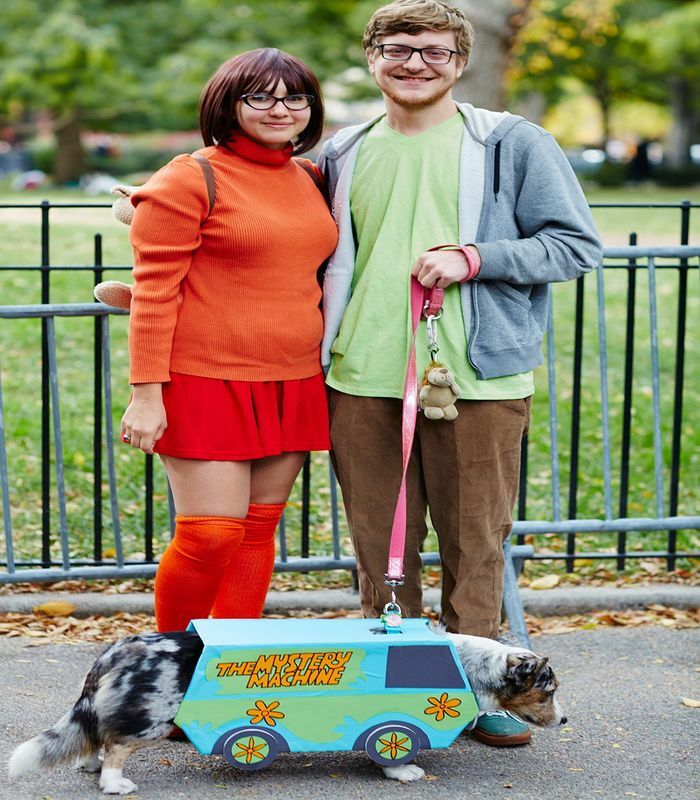 Most of the people dress up their dogs as Scooby Doo, but this couple here went a bit further and transformed the dog into the Mystery Machine. 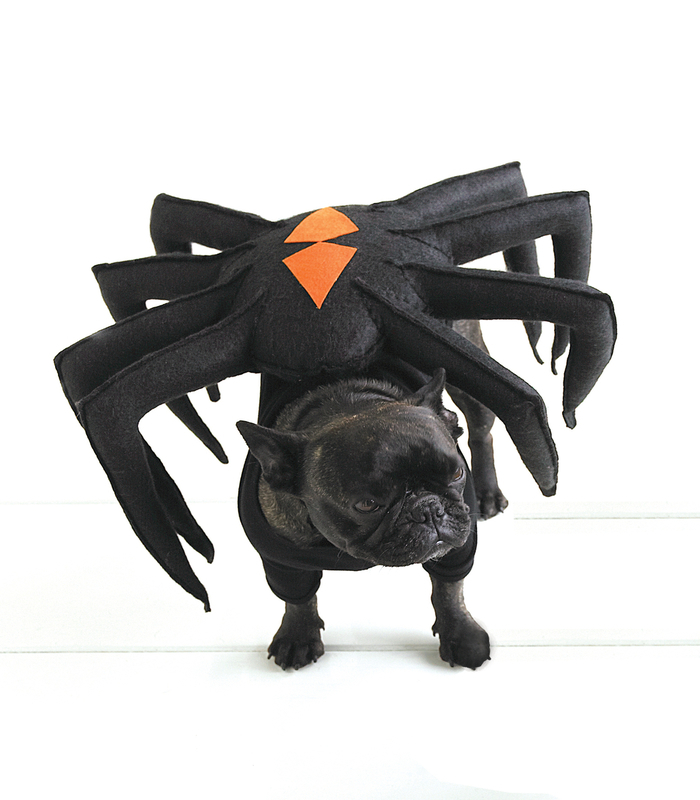 Creepy things, like insects, especially spiders are often associated with Halloween. 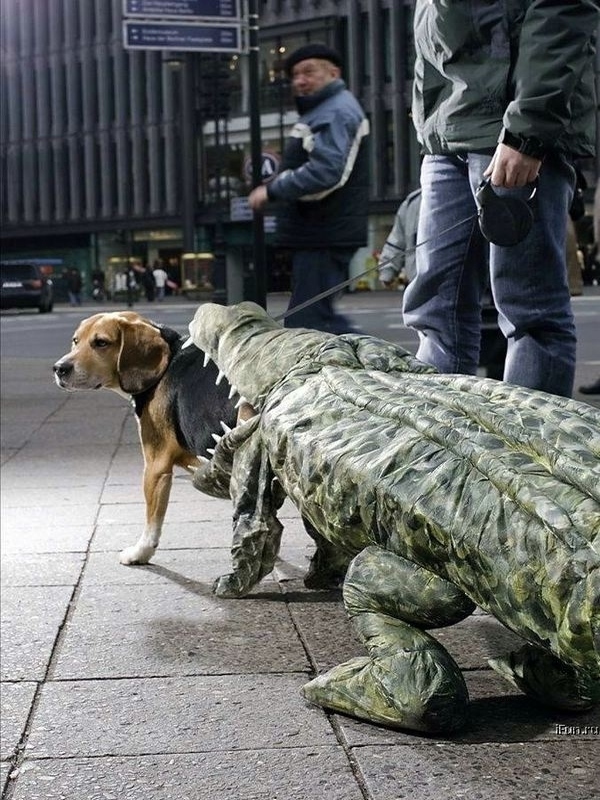 So why don’t you transform your canine into one of the these? People won’t be afraid of this creepy crawly for sure. We all are scared of going in the water because of sharks, but when the shark is so sweet, I don’t think anyone would hesitate. Fortunately, you don’t have to go under the waters for this one. 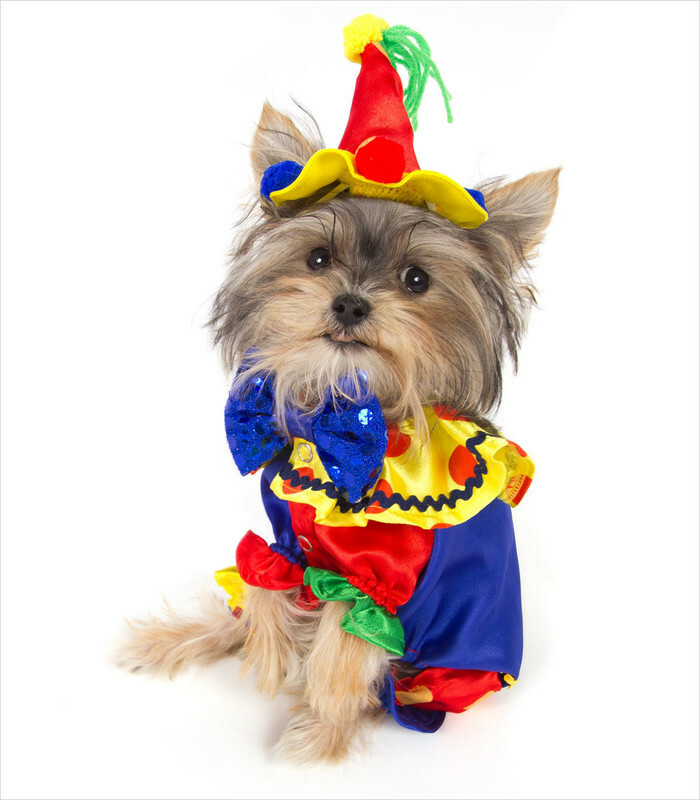 You cannot clown around with this pooch here in the Halloween. This bright clown costume, with a matching head, will surely please the onlookers, even the ones afraid of clowns. How can anyone feel scared seeing this beautiful witch? In fact, everyone will run after you to hug and kiss your pooch. 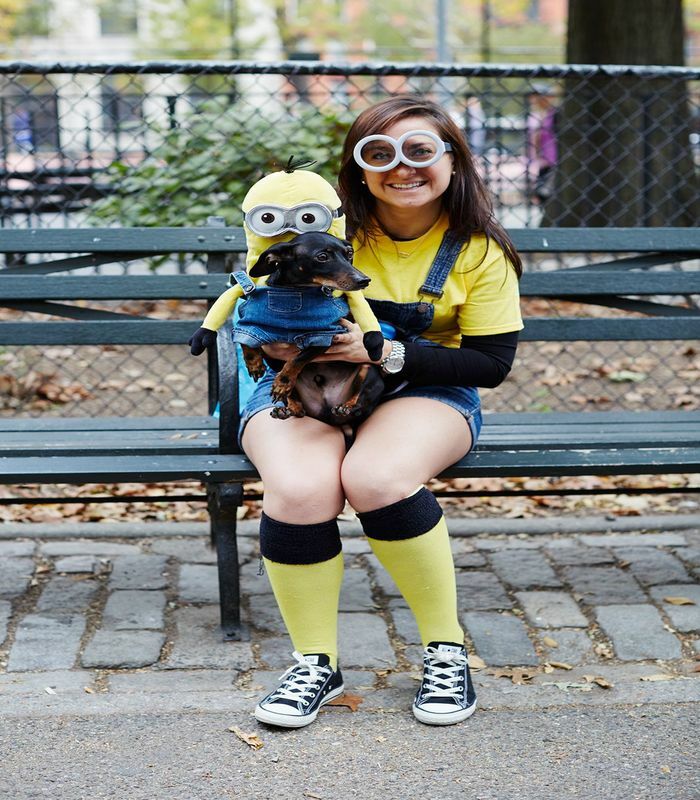 This is the cutest minion we have ever seen, cuter than the Gru’s minions too! 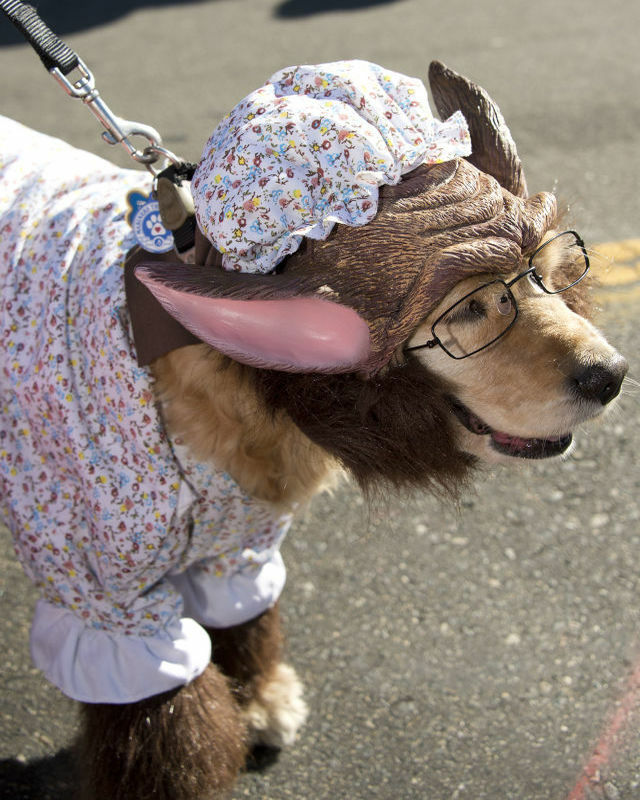 Just because your dog is dear to you doesn’t mean you cannot dress him up as the Big Bad Wolf for Halloween. Give it a shot this year. 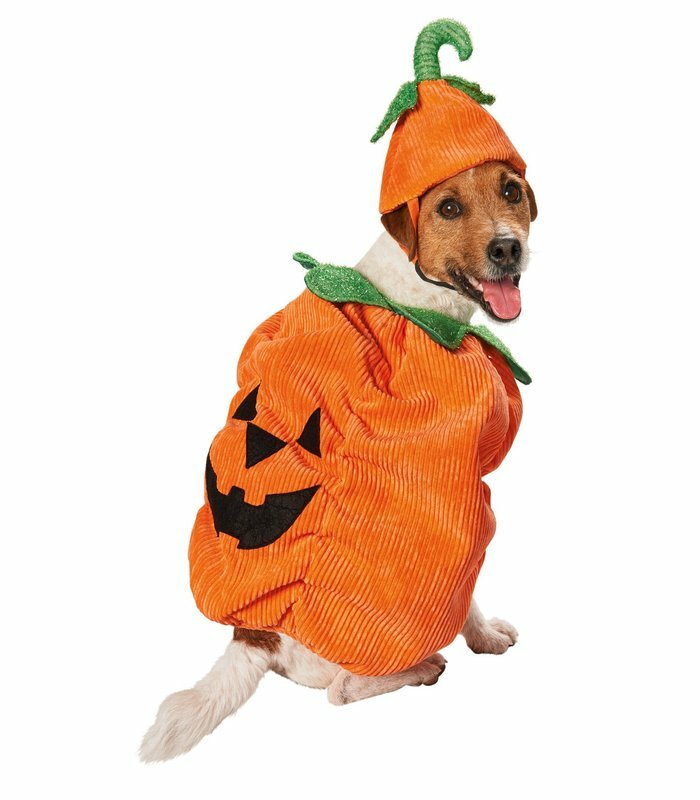 Jack-O-Lantern costumes are a huge hit at this time of the year and look great on everyone. But admit it. 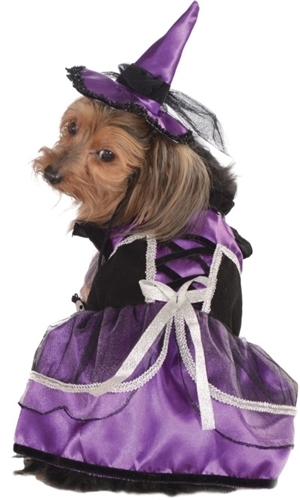 No one can look cuter than this puppy here in this costume. Santa’s elf has arrived a bit early this year to celebrate Halloween with all his friends. 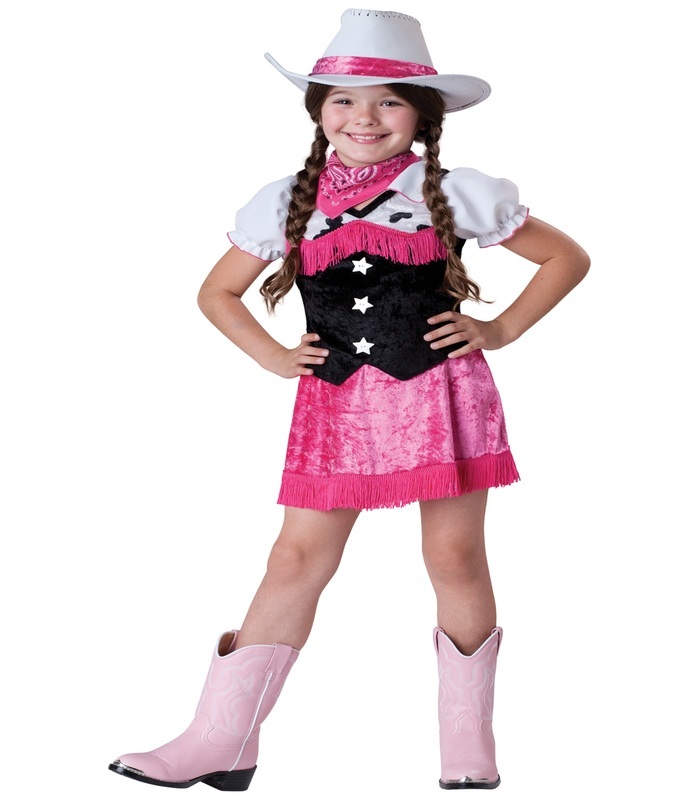 You can use this costume for both holiday and Halloween party. Cool, isn’t it? 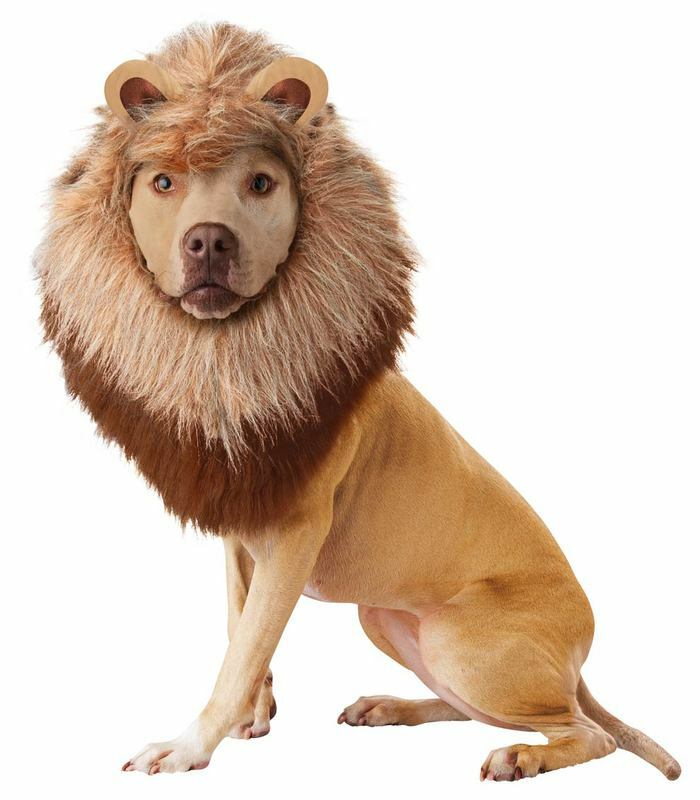 Make your doggy feel an extra special this Halloween by dressing him up as a lion. You just need to get this lion’s mane, attached with ears to transform your dog into a lion. 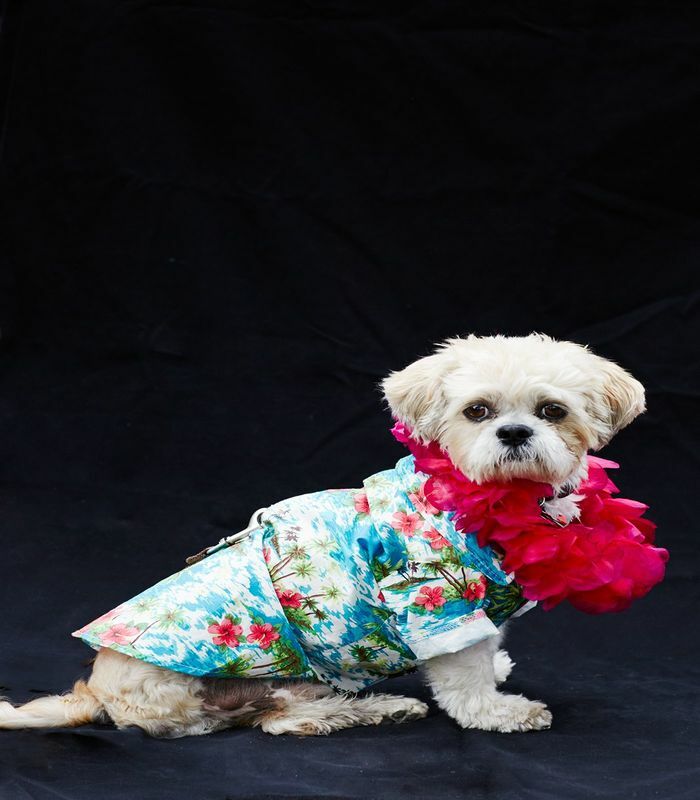 Spread floral cheer in your neighborhood by dressing your dog as a Hawaiian dancer. This might freak out some people, but we think it’s absolutely cool. AT- AT or All Terrain Armored Transport robots are common. 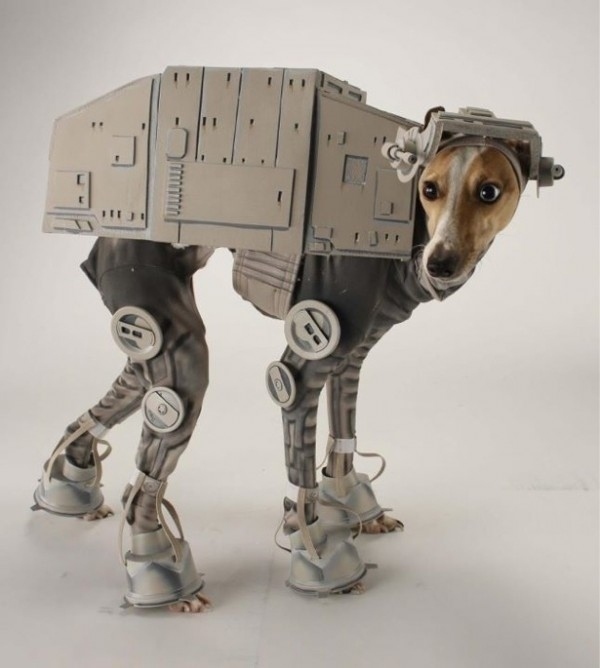 How about having an AT- AT doggy for the Halloween? 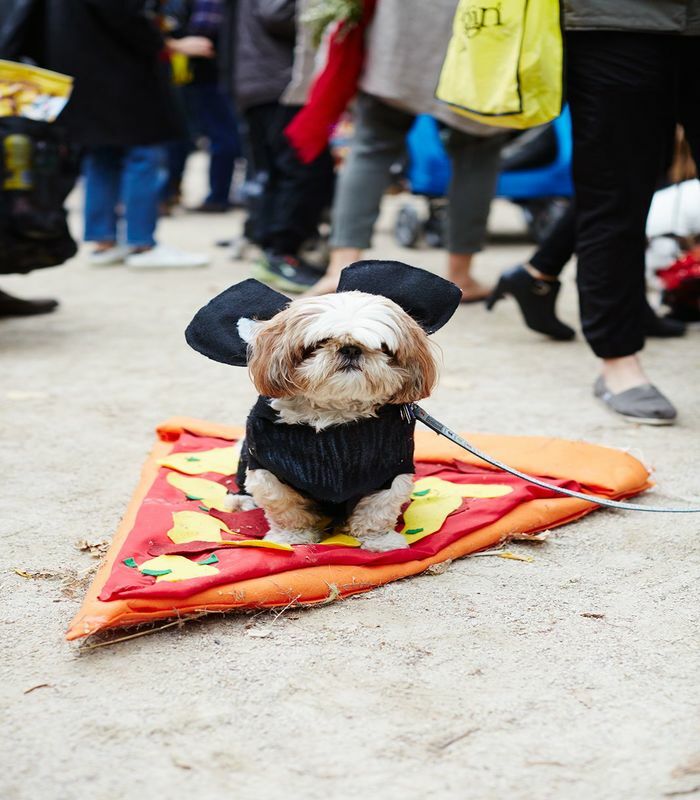 Have you ever seen a pizza rat as cuter than this cutie pie here? We’re crushing on it. You can even save these adorable images for later view by pinning them. So why wait? Start pinning right away.